Amazon/AWS - CPP Associates, Inc.
Amazon Web Services (AWS) is a secure cloud services platform that offers compute power, database storage, content delivery, and other functionality to help businesses scale and grow. AWS provides over 50 services, from data warehousing to deployment tools. New services are quick implement without upfront capital expense, allowing enterprises, start-ups, SMBs, and customers in the public sector to access the building blocks they need to respond quickly to changing business requirements. The AWS platform has built-in controlling, auditing and identity management, and configuration and usage to help customers meet their compliance, governance, and regulatory requirements. AWS has developed the industry’s broadest set of hybrid capabilities across storage, networking, security, application deployment, and management tools to make it easy for you to integrate the cloud as a seamless and secure extension of your existing investments. AWS provides services that help you practice DevOps at your company. These tools automate manual tasks, help teams manage complex environments at scale, and keep engineers in control of the fast pace enabled by DevOps. With the ever-growing amount of data, considerations in how to back it up require careful consideration. AWS offers storage services, data-transfer methods, and networking options to build solutions that protect your data with unmatched durability and security. AWS offers a complete set of cloud storage services for archiving. You can choose Amazon Glacier for affordable, non-time sensitive cloud storage, or Amazon Simple Storage Service (S3) for faster storage, depending on your needs. The AWS Partner Network (APN) is the largest community of cloud consulting and technology providers. 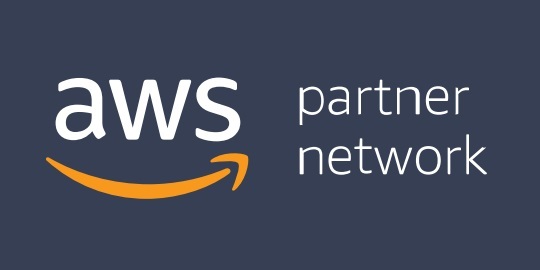 All APN partners have proven technical expertise of the AWS platform and customer success with their products and services. AWS Storage Competency partners offer AWS-integrated storage solutions for primary storage, backup & restore, disaster recovery, and data archive. Working with these partners can help your organization (particularly if you’re managing legacy infrastructure and applications) deploy capabilities that send data to the AWS Cloud for durable storage and protection.